I’m already the proud owner of Sueded Brown’s little sister, Velvet Plumtones so I couldn’t help but pick this one up too when I saw it in the ‘sale’ box on counter in John Lewis. I paid half price for this little palette. A total snip a £12.50! 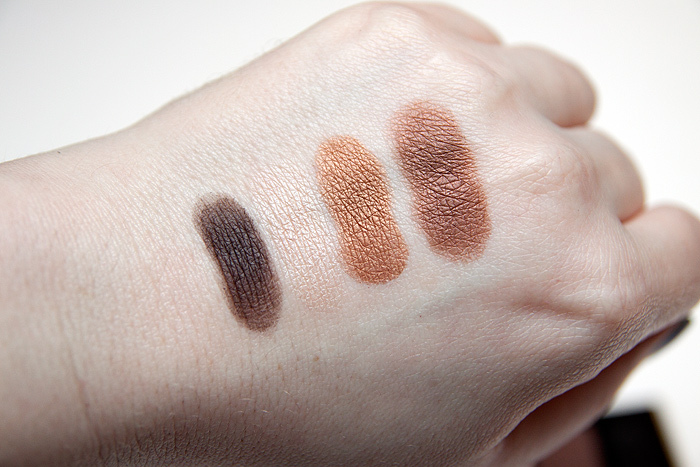 I love these Color Intrigue palettes… I mean, OK, they’re not hugely exciting in shade selection but they’re wearable, high quality shadows that are hard to screw up. 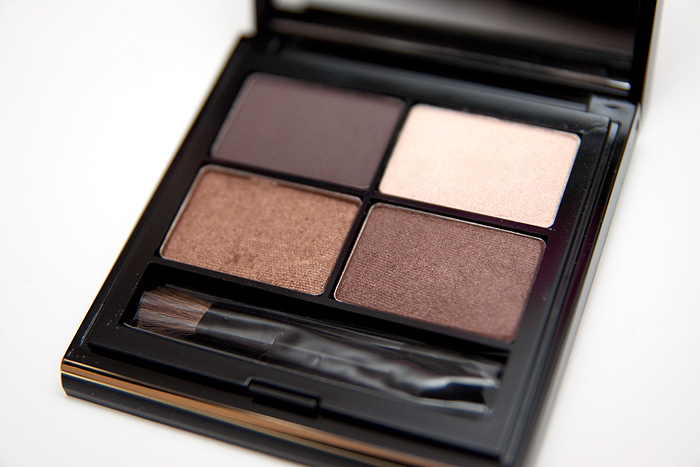 They blend beautifully, last forever on my lids and have a beautiful satin sheen without being too metallic. 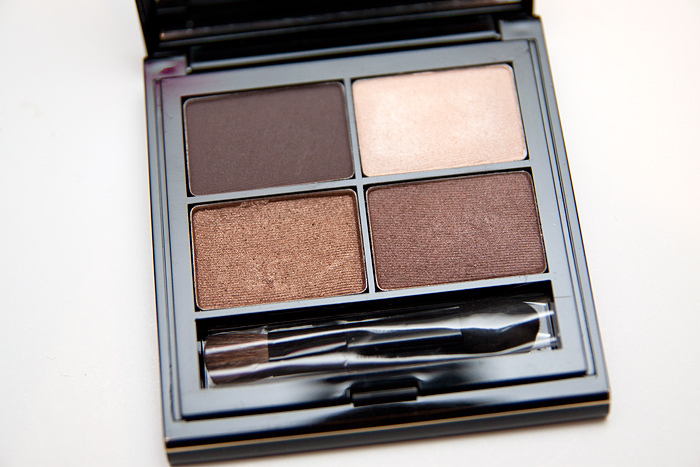 4 shades ranging from a pale highlight through to a v. dark charcoal brown which I”m addicted to using as a liner. Aren’t they rich? The highlight shade *is* there by the way, it’s just pretty damn close to my skin tone as a colour match! So, that leaves one palette left to collect…. the Neutral Cashmeres. I know I can get it in the ‘ordinary’ packaging but I’d quite like to complete my set of 100th Anniversary ones! I will have to keep my eyes peeled! 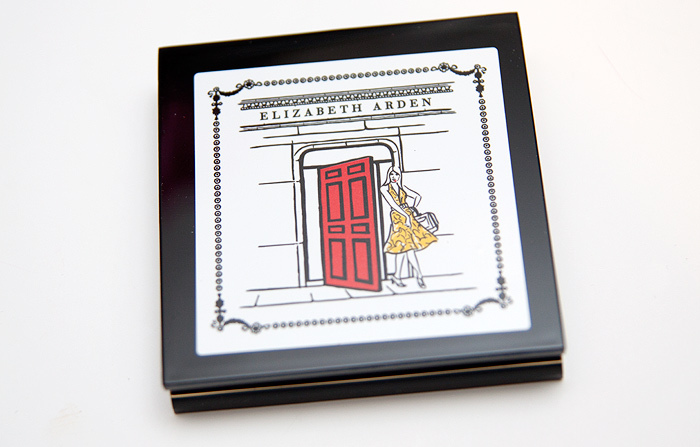 Do you own any Elizabeth Arden cosmetics? I’m a sucker for beautiful eyeshadows that shimmer and shine. Those colors are lovely! 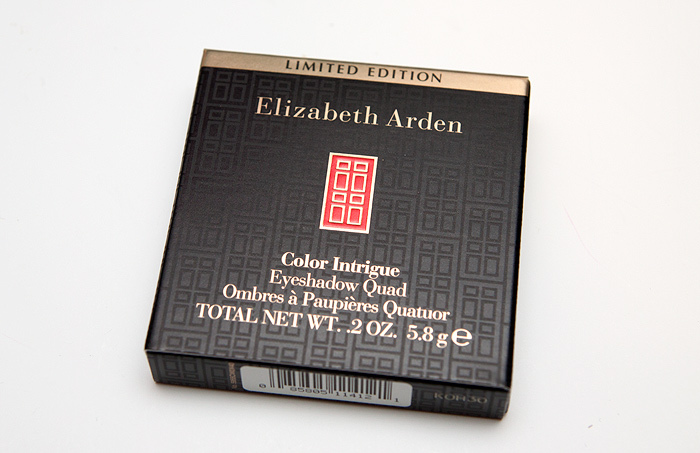 My Mum is an Elizabeth Arden junkie, I may have to show these to her. Those neutrals are gorgeous. EA always pulls off rich beautiful bronzes. I may have to peak around and see if they are Stateside. This is gorgeous! The colours are so pigmented, I never bothered with EA because I always thought I was too young for it but now I’m going to if the colours are that nice. This looks very similar to the Boots No7 palette they had a while ago (it’s LE) but I picked it up in the Xmas sale for £4..so it’s like a more expensive dupe? I’m going to try and track this down as that palette I’ve been using is all but gone.